Clean up after messy tenants with our Professional End Of Tenancy Cleaning in London | Our End Of Tenancy Cleaning in Croydon & Bromley is very thorough. If End of Tenancy Cleaning in London is a question, Go For Cleaning is the answer! • Clean inside all cupboards and drawers. Remove all old food stuffs, carrier bags. • Clean sink and taps and remove lime scale and polish. • Wall tiles to be De-greased, cleaned and polished. • Clean oven internally to remove all built up grease as well as clean exterior. • Clean refrigerator/freezer. Leave switched on. • Clean washing machine inside and out. Clean soap drawers and filters. • Clean dishwasher inside and out. • Clean exterior of all appliances. Clean microwave inside and out. • Shower screen cleaned and polished. • Wall tiles De-greased, cleaned and polished. • Toilet to be De-scaled, and brushed clean. • Floors to be washed and polished. If carpet, floor to be hovered. • Dusting throughout, including: light fittings and shades, light switches, dado rails, skirting, spindles and banisters, curtain rails, wall pictures, mirrors, fire surround and radiators. • All glass to be cleaned with window cleaner. 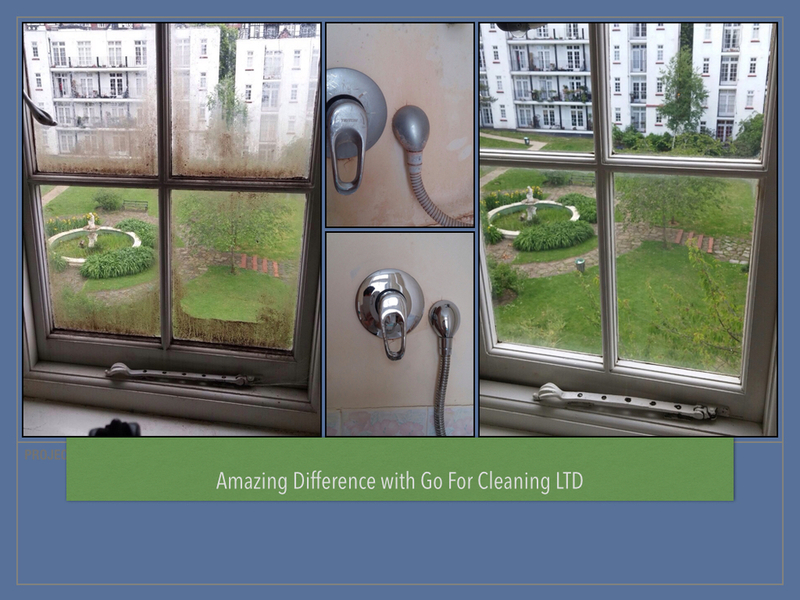 • Windows to be cleaned internally as part of end of tenancy. • Drawers and shelves to be cleared of any rubbish. All bedroom furniture /storage units should be clean inside and out. Our specialists work in cleaning teams and use high quality cleaning products and equipment. Apart from all this they are highly motivated to make their clients happy. If you are moving out and have to leave the house clean and tidy, if you are moving in and want to live in a clean and comfortable house, if you have bought a new house and want to see it in top condition or if you want to sell or rent a house we are ready to help you. Our cleaners will keep it to the highest cleaning standards. If you order full cleaning service - End of tenancy with carpet cleaning included, you will get great offer for best proper cleaning of the house. We guarantee your expectations will be met and if you are still not satisfied with something we will send back our cleaners to your house and you will not pay for that because satisfied customers are what we strive for.